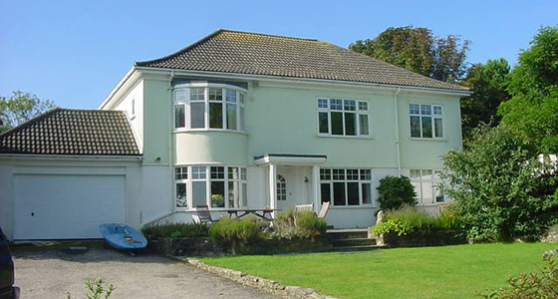 Penarrow House occupies one of the finest waterside locations in South Cornwall. The house is available for self catering holidays and may be booked direct with the owners. The house sleeps 10 in 5 double bedrooms. The ground floor has a well equipped kitchen, breakfast room, W.C. utility room, table tennis room, dining room and split level living room. Amenities include TV, video, DVD, sound system, microwave, dishwasher, washing machine, freezer and separate fridge. Duvets, pillows and bed linen are supplied. Towels are not provided. Pets allowed in off-peak weeks by special arrangement when booking. Upstairs are one double and four twin bedrooms, all with sea views, refurbished bathroom and separate fully equipped and refurbished shower room and large walk-in airing cupboard. There is a “wet room” for drying wetsuits and sails in the back garden. 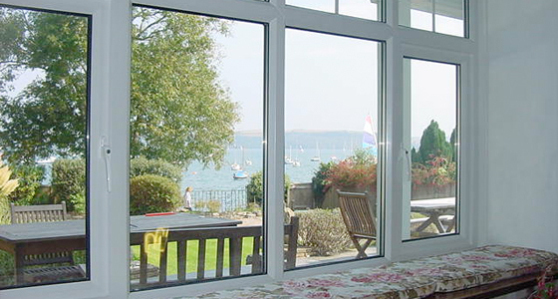 Attractive gardens to the front and rear are provided with garden furniture. There is parking in the driveway for four cars or dinghies.